uniform in today's education system? Uniforms are more aesthetically pleasing. School uniforms make the decision of what to wear easier compared to the thousands of options created by leaving options. Wearing uniforms prepare children for future jobs which require a uniform. Uniforms foster a sense of belonging. 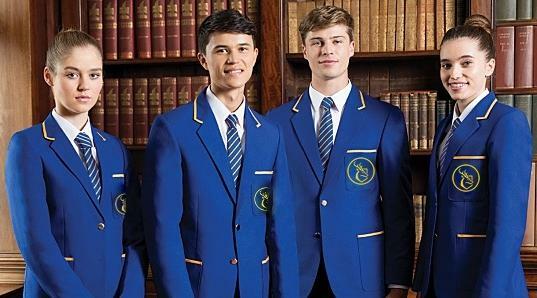 The school uniform movement continues to be rooted in pure speculation. There is little or no evidence to suggest uniform improves learning/outcomes if we consider pupil performance metrics = exams. Uniforms often enforce gender stereotypes, such as boys must wear trousers and girls must wear skirts. This may be mitigated by offering a selection of items for students to choose from rather than rather than requiring boys and girls to follow specific gender norms. If the kid doesn't have time to wash one they look bad. Uniforms are a needless infringement on individual liberty, and since clothing is a strictly personal matter, public institutions must not interfere. Students wearing uniforms "incorrectly" (ie. shirt not tucked in properly) are carded by school staff and/or faculty and are reprimanded for it. Children attend school to be educated, not to adhere to uniform policies. The usage of uniform in schools was intended to include everyone in a sense they're all equal, however, forcing them to wear a certain way can restrain their freedom of expression. Should The UK Education System Consider An Overhaul?